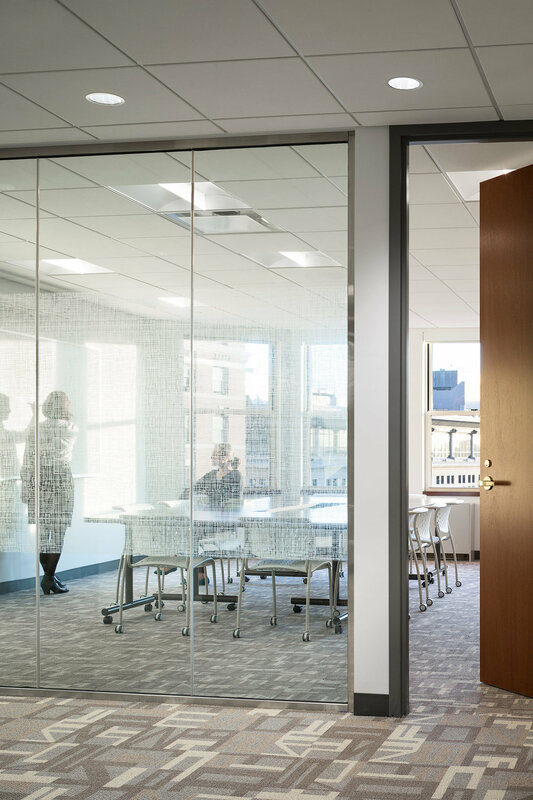 Our renovation and adaptive reuse of Hollister Hall at Babson College converted a former commercial facility to administrative and student support space. With new glass-and-metal-clad entries, projecting stairs, bay windows and a pedestrian bridge to the new Campus Center, Hollister Hall projects a welcoming image to the campus community. 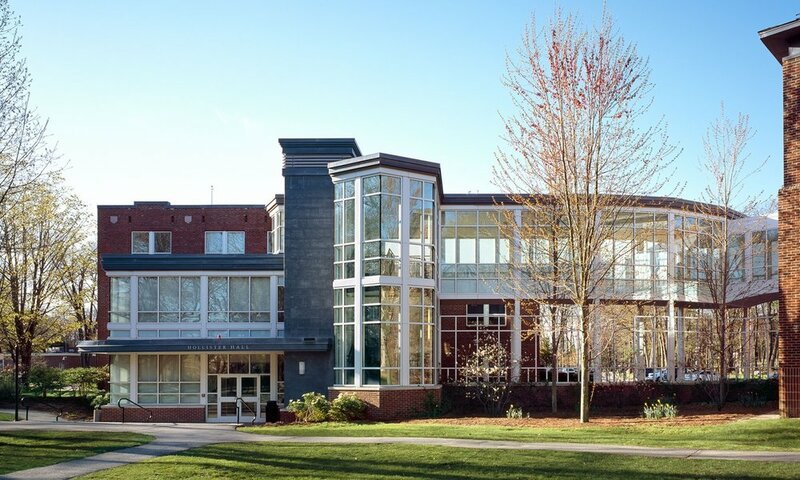 MDS worked closely with faculty and student services staff to program and design the 40,000 sf facility. Reorganized layouts create distinct suites for a variety of administration, faculty and student organization offices. Academic service offices, the career services facility, academic counseling offices, classrooms and meeting rooms are clustered around the atrium to orient users and to encourage interaction between students, faculty and staff.